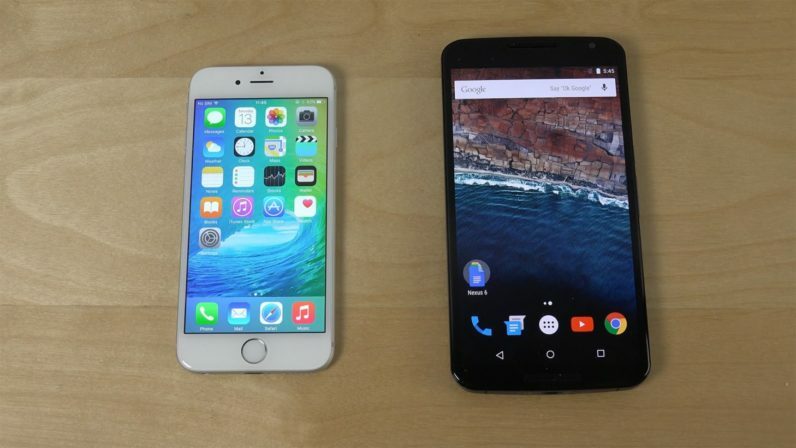 Why will iPhone Always Have an Upper Hand over Android Smartphones? iPhone versus Android has always been a debatable topic while the two technology giants overpower each other with the launch of amazingly new features every year. Do you own an iPhone or you are an Android user? Do you have favoritism for any of these operating systems? If yes, then why? Everyone has their own set of reasons for choosing iPhone over Android or vice versa. While iPhone has always been associated with elite sophisticated class, Android phones sees its users belonging to diverse classes due to its availability quotient in low, mid to high budget. In this blog, we will unveil the reasons on why iPhone is worth the high price, status symbol and popularity it enjoys. One convincing and most powerful reason why it is better to own Apple devices is that this company rolls out the latest iOS updates for all Apple devices, thus enabling its users to enjoy the benefits of new operating system. As Apple has complete control over hardware and software, it does have to face any intervention from mobile carrier networks or other manufacturers. Android users have to wait for months for the new OS version update to reach them, while iPhone users stay up-to-date with company releasing the new OS very soon to all devices. Any new app gets launched first in the App store and the in Google Play Store. This is because apps formulated for Android version require more coding than those designed for iOS. If taken example of recent favorites, Snapchat and Prisma, both of them first enjoyed popularity and created buzz in the App store followed by its availability for Android users. In short, iPhone app development service is advanced and preferred over Android app development service. That Apple logo with elegant design of iPhone says it all. It does not require any glamor on its body to look attractive. Smart design that suits both men and women pockets is unbeatable! Android, though trying to come on the same lines with Apple in terms of design and outer appearance, the craze for iPhone’s look shows no sign of going down. Help and Support center of Apple is best known for its excellent customer service. Whether you have issues with the functioning of iPhone or want to learn more about your device and its features, customer care executives are right there just for you. They guide you through each and every step without having you to worry about anything happening to your device. Say any small hardware or software problem and they get it resolved or replaced in least possible time. What can be better than this! Not that Android phones do not have this security lock feature, no one can beat the fingerprint sensor offered by Apple Inc. First available only for Apple devices, this feature become favorite of many others. The increased buzz accounted for the introduction of fingerprint lock feature in Google’s phones, but quality and sensitivity of Apple is still unmatched! iPhone, iPad, Mac, in short all Apple devices function in close synchronization with no overhead of transferring data from one device to another for use. Information flows smoothly across all devices. Let’s take an example to understand this advantage: you started drafting a document on Mac and left it incomplete due to some or the other reason. You have the liability to takeover writing the same document with your iPhone without the necessity of having Mac in easy reach. Connectivity of this level is still missing in Android devices, which rely on third party applications for seamless and fast transfer of data from one device to another. Though high-priced, iPhone does justice to its owners by offering marvelous and unique features, which are impossible to experience with other smartphones. Apple has been a technology market leader of innovation and excellence. It requires much effort to surpass or even match Apple standards. Read next: Why should you Hire Services of Android App Development Company?